Although inequality in Latin America ranks among the worst in the world, it has notably declined over the last decade, offset by improvements in health care and education, enhanced programs for social assistance, and increases in the minimum wage. In Democracy and the Left, Evelyne Huber and John D. Stephens argue that the resurgence of democracy in Latin America is key to this change. In addition to directly affecting public policy, democratic institutions enable left-leaning political parties to emerge, significantly influencing the allocation of social spending on poverty and inequality. But while democracy is an important determinant of redistributive change, it is by no means the only factor. Drawing on a wealth of data, Huber and Stephens present quantitative analyses of eighteen countries and comparative historical analyses of the five most advanced social policy regimes in Latin America, showing how international power structures have influenced the direction of their social policy. They augment these analyses by comparing them to the development of social policy in democratic Portugal and Spain. 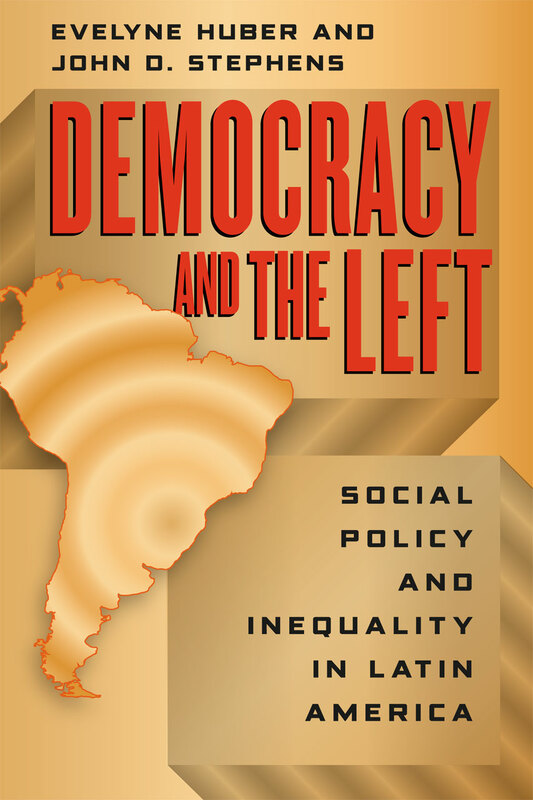 The most ambitious examination of the development of social policy in Latin America to date, Democracy and the Left shows that inequality is far from intractable—a finding with crucial policy implications worldwide. "With the publication of Democracy and the Left, Evelyne Huber and John D. Stephens contribute another major book, adding to their stellar careers. Latin America has long been characterized by high poverty rates and the sharpest inequalities in the world. Huber and Stephens argue persuasively that poverty and inequality are not intractable problems. Through careful research, they show that, because democracy allows progressive political parties and social forces to influence policy and come to power, it generally has a positive impact on poverty and inequality when it lasts for at least twenty years." "Evelyne Huber and John D. Stephens have produced another classic contribution to the literature on the political dynamics of social policy. Combining sophisticated cross-national quantitative analysis with comparative historical analysis founded on encyclopedic knowledge of the cases in question, Huber and Stephens demonstrate how and why politics makes a fundamental difference to national welfare. As Latin America increasingly becomes a reference point for those interested in progressive policy outcomes, this book is a must for the libraries of social scientists and policy makers."